The three biggest obstacles when it comes to eating healthy is that it is too expensive, it takes too much time and it is hard to stick to a plan. Sound familiar? I am removing ALL of these obstacles by giving you easy-to-follow meals plans. My goal is to empower you to eat smarter and get you closer to hitting your health goals. 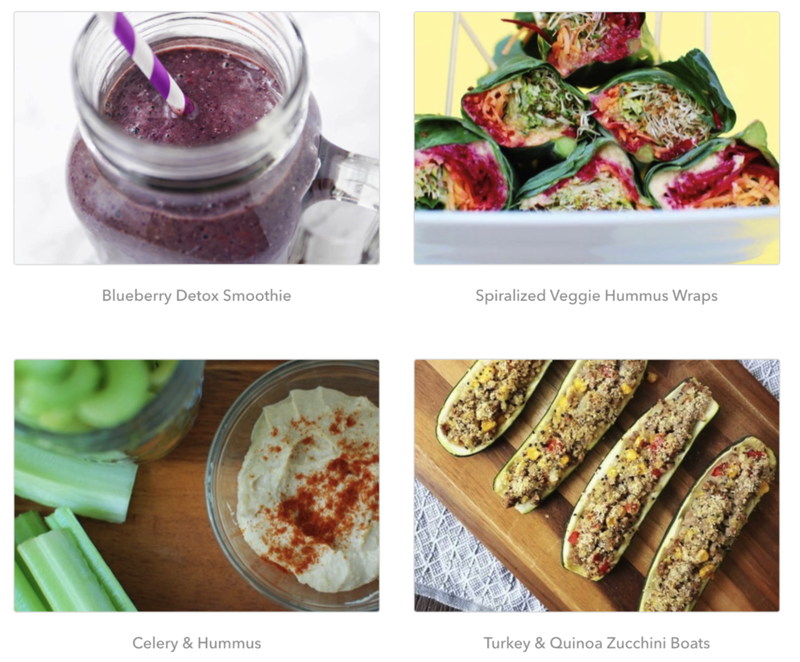 I've worked with top nutritionists to give you the plans with the yummiest recipes. My approach to healthy eating is liveable and flexible because it IS possible to learn to eat well, but still have the things you love sometimes. Meal Plan - I’ve created a streamlined meal plan for you with awesome breakfasts, lunches, dinners and snacks. All you need to do is follow along. Grocery List - Your meal plan comes with an itemized grocery list. Hello, timesaver! Prep Guide - Stay organized and on track with my handy prep guides. They outline exactly what to prepare day-by-day, so you will never feel unorganized or overwhelmed. Check out my meal plan options below to see what works best for you! I also offer custom meal plans. Have a allergies? Feeding a family? On a specific diet? Have a favorite food? Contact me for next steps. A sneak peak into some of the meals included. Summer is here so I've put together a meal plan to celebrate the freshest produce that this season has to offer! Grilled chicken, strawberries, zucchini, watermelon and more! Eat clean. Feel ah-mazing! This is a 6 day meal plan. Another summer-inspired meal plan, but this one is entirely vegetarian and can be easily modified to be vegan. So many awesome summer-fresh flavours in this one! Eat clean. Feel ahh-mazing! Hello meal prep! Taking some time on the weekend to prepare food for the week saves us time, money, keeps us organized and feeling great throughout the week. But sometimes getting organized for Meal Prep Sunday is half the battle. Don't worry, I've got you covered! My Meal Prep Sunday Program will show you how to prepare enough meals for 5 days in roughly two hours. My prep guide will outline step-by-step how to make it happen. This is a 5 day meal plan.